See you Sunday at Caesars! Mobile Helix, a pioneer in encrypted mobile solutions for lawyers, announced today that it will unveil the latest features of its LINK mobile app at ILTACON 2015. LINK is a single secure app which enables lawyers to work with DMS, NetDocuments, Outlook, SharePoint, and the firm intranet from smartphones and tablets. Mobile Helix will demonstrate LINK’s new line-up of features which no other single app offers including: viewable NRL attachments; Send-and-File-to DMS; secure document edit; and search of all repositories, including DMS. Mobile Helix will demonstrate the new LINK features in booth 621 at ILTACON 2015 and will present a Solutions Spotlight entitled, “DMS & SharePoint – Mobile Productivity is Easier than You Think,” on Wednesday, September 2, 2015, at 3:30 pm at ILTACON. Mobile Helix is a trademark of Mobile Helix, Inc. All third-party trademarks, trade names, or service marks may be claimed as the property of their respective owners. 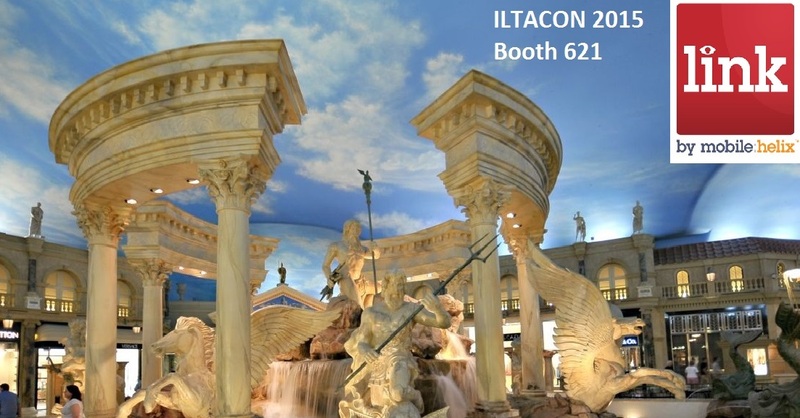 ILTACON 2015 is the ILTA (International Legal Technology Association) annual conference, taking place in Las Vegas from August 30, 2015 to September 3, 2015. This entry was posted in Events, HelixPulse Blog, Legal Technology, Mobile Productivity and tagged ILTA, ILTACON, Legal IT, LINK, Mobile Lawyer by Maureen. Bookmark the permalink.